Optional Single Supplement: $802 USD (number of singles limited). In the far northern region of Europe, our Russia and Baltic States tours explore a region of turbulent history, opulent eras, and individual identities that have, for the last few decades, been experiencing a revival. In each corner of the five destinations on our Russia and Baltic States tours (Estonia, Latvia, Lithuania, Finland, and Russia), we'll discover a tangle of old medieval town streets with cobblestone squares and a great amount of character. With only a few decades since the breakup of the Soviet Union, no journey to this region is complete without a visit to Russia to understand the country behind the Cold War. Far from being a drab city of utilitarian concrete complexes, St Petersburg is a city of wonder. With over 300 years of history, young by European standards, this grand city was built by Peter the Great as a tribute to himself, and the streets are lined with opulent architecture. It was considered a window on the west, with the best of each region being incorporated into the city's planning. 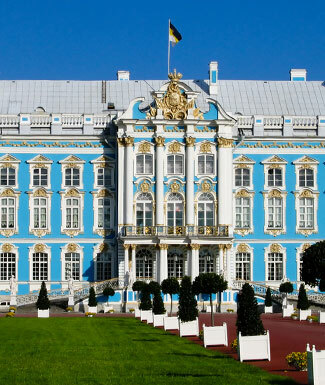 Visits to the Cathedral of Peter and Paul, the final resting place of the Romanovs, as well as an exploration of Peterhof Palace, a palace so opulent it rivals the French's Versaille, clearly demonstrates the prestige this nation held in bygone years. Our trip to the Baltics and St Petersburg is best completed with a visit to one of the world's most important museums, the Hermitage. Lesser in size, but not in beauty, the Baltics have embraced their independence in different ways. Town squares have been spruced up, and a lively city life has returned to the historic centers full of rich architecture. Capitals such as Vilnius in Lithuania retain a village-like atmosphere. Its colourful and diverse architecture of its old town have enabled it to be on the UNESCO World Heritage List with over 1500 buildings erected over the span of several centuries. Walk amongst the shadows of Gothic defense systems from the 14th century before roaming the cobblestone streets of the Jewish Quarter and finding a hidden courtyard tucked behind one of the nine gates of the city. Nearby in Riga, Estonia, we'll discover a kaleidoscope of various architectural styles in the largest of the three Baltic capitals. 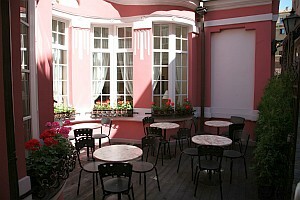 Art Nouveau buildings, medieval castles, guild houses, and Baroque palaces are just a few of the gems hidden in Riga. In Estonia's capital, Tallinn has been sacked, razed and pillaged on numerous occasions yet still retains its charms. The town is picturesque, with a jumble of medieval buildings, turrets and walls. 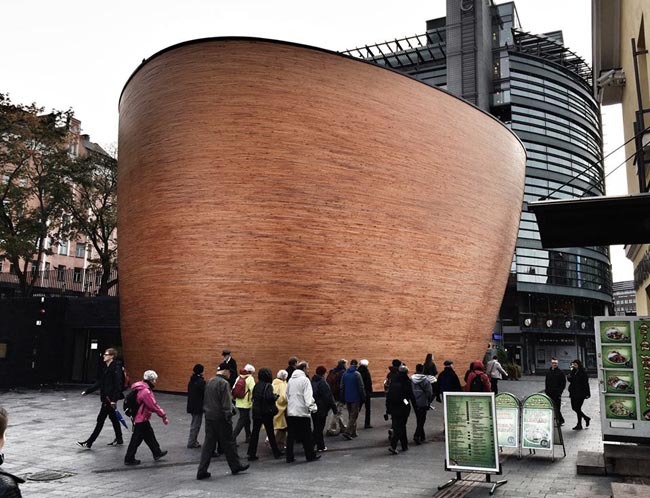 From Estonia, our Russia and Baltic States tours take us to the "Daughter of the Baltics:" Helsinki, Finland. 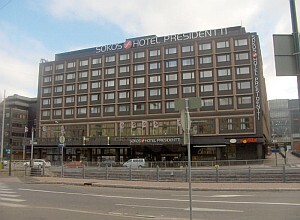 Helsinki is a cosmopolitan capital that is relatively young at just 450 years old. Situated along the cold waters and surrounded by an archipelago of 315 islands, Helsinki was a port and coastal backwater until the Russian invasion of 1809. A fantastic region with a positive outlook for the future, as well as a strong link to the past, a journey to the Baltics is one not to be forgotten. 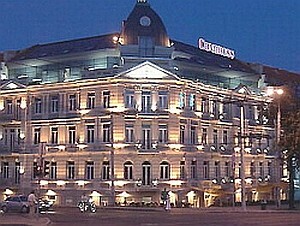 I most enjoyed St. Petersburg, everything, especially walking about in this amazing city. Our tour leader did an outstanding job in finding us varied and oh-so-scrumptious dining experiences! Our leader always had suggestions for free time and made sure we had maps and hotel address cards to find out way back to the hotels. We enjoyed the Vilnius Old town & Trakai Castle. The Genocide Museum was a sobering experience. The Hill of Crosses left its mark, too. Riga's Art Nouveau buildings & Old Town. We enjoyed the organ recital plus Rundale Palace. The unscheduled visit to the rabbit farm after Rundale was fun. Tallinn Old Town was impressive. As expected, the highlight was EVERYTHING in St. Petersburg! The small Mercedes buses were excellent in all respects, as were the drivers in each location. The ferry to Helsinki & the train to St. Petersburg (with reserved seats) were first class. 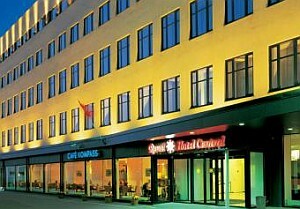 We were very pleased with the hotels chosen and certainly wouldn't suggest changing them. Overall, the meals were very good to excellent. The hotel breakfasts all had lots of choice compared with many Canadian hotels we have stayed in. Our tour leader was the type of tour Guide who makes you want to do more tours with her and therefore, AA. 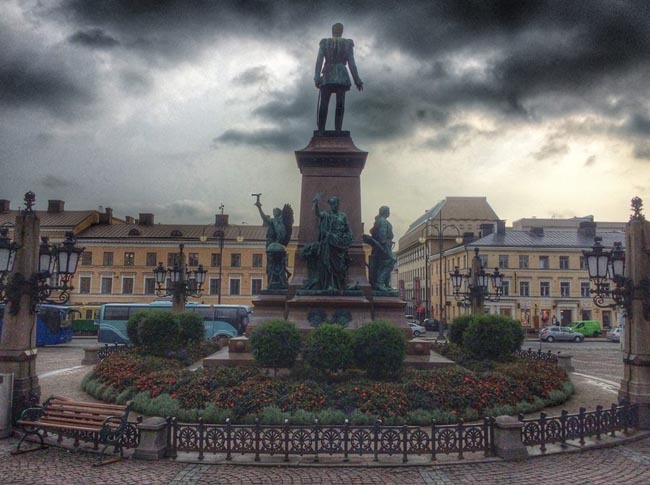 The combination of the three States that have regained their freedom from Soviet Russia, combined with the visit to St. Petersburg was an excellent combination for a tour. I learned a lot. The Kaunas and Hill of Crosses stops on the trip from Vilnius to Riga were great stops and breaks on the trip. The buses were comfortable. The smaller van was great in St Petersburg. I think Erin, our tour leader, did a great job with her selection of meals. Good informative trip. International airfare to/from the tour. 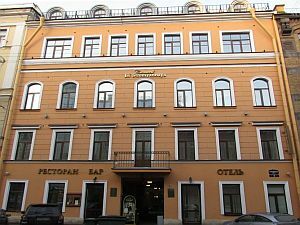 Tour Leader gratuities, lunches, drinks, personal items (phone, laundry, etc), international air taxes (if applicable), excursions referenced as 'optional', visa fees (Russian visas can involve costs of +/- $150 per person). Airport transfers for Land Only customers. Our post-reservation trip notes offer further guidance on optional meal costs, shopping, and applying for your Russian visa. Land transport throughout by private air-conditioned motor coach, 24-36 seats depending on ultimate group size (see 'group size'). Though we will have a couple of full bus days there are plenty of stops of interest. Hydrofoil crossing to Finland. Comfortable day train to St Pete's. Past passengers have commented on the considerable amount of walking on this itinerary. Though we do not rate this tour "strenuous", it is a busy program with numerous city / town walking tours featuring uneven surfaces, inclines and / or stairs. You must be able to spend several hours on your feet per day, walking at a leisurely pace. There may not be porters available in all locations. We also make use of public transit in some cities in order to maximize sightseeing where vehicles are impractical (most people quite enjoy this insight into daily life). If you are unsure of your suitability for this trip, please contact one of our destination specialists.